As I briefly explained when I first contacted you, through my research, I am trying to describe this inner image of sound, this inner musical world that dwells within the musician. I’ll therefore start by asking you to tell me more about the process of composing music. When I start thinking about a piece that I want to compose, I kind of imagine the whole piece being performed in my mind. If it is an orchestral piece, I hear the orchestra playing it. It is like, if it is for an ensemble, I imagine it as being performed, and I imagine that it is alive, being there [i.e. that the ensemble actually exists/is present.] Gradually, I get the idea, and I write down “die Gestalt,” the envelope of the piece, so that I don’t forget it. What exactly is this envelope? I write down how the piece should start, where the piece should go, and what it should do, where is the peak of the piece, and then, how should it end. I really have to know how a piece should end, I am obsessed with endings. I always read the end of a book before starting it. So do I! Even with thrillers… I know how bad this habit is but I can’t change it! I cannot read a book until I know the end. And it is the same with my music, I have to know how the piece ends, or at least have an idea of how the piece should end. And then, I gradually put the piece together, then I spend a lot of time on details. The details take up the majority of my time, 95/98% of the compositional process. But I have to have the image of the piece in my mind before I go into the details. So you go from the general to the particular. Right. The general idea is, just as the piece [i.e. solely considering the piece itself], how it should move. It is a kind of a general large envelope of the sound of the piece. But then, when I go into the details, I might have to change some of the details. Sometimes I have to change a little bit of the general idea. The general envelope is the mood? The tonality? Everything! Let me give you an example. When you were a kid, did you imagine that you were a character in a movie and you played the whole movie by yourself? I did! I used to do that. So I would be Tarzan, going up the trees, I would be King Arthur fighting …and so on. When you are doing this, you are imagining the movie in your imagination. It is very similar in a way, that I imagine the whole piece being performed in my head. Sometimes, I use digital technology. I make a rough draft of the piece as it should sound. Then I go into the details. For a recent piece I am doing, I am actually doing the opposite process. I have improvised in certain modes, and I have recorded it, I did that for five or six years. As I’m going through those as a musician, I am listening to them, and I’m selecting some of those, and then putting what I choose together as a draft of the piece. It has to be much more refined. It is a kind of draft of the movements that I want to do. But this is a new kind of process that I started recently. I like to explore different approaches to write music. Did you previously use digital technology? Have you always used it? I used it when I wanted to kind of see what a section really sounds like. I would kind of orchestrate that section and hear it. That’s what I did in the past. What I am doing now is going back to my improvisations that I have previously played and recorded. I do a lot of improvisations. No, I have my own Persian keyboard which plays microtones. I improvise on the keyboard and digitally record it. I have been doing that for many years. For a long time, the recordings were just there. Now I’m going back and listening to them and selecting different improvisations, and trying to, you know, explore that, and evolve it into a piece. What is the influence of this technology on your ear? Does it help you? Does it make your ear lazier? I think that, when you work with non- European systems, you need to have, or at least, I need to have, a media such that I could [that would let me] improvise and hear those sounds. [One of the aspects of] my research is to move to the realm of a different system that is not really European. For that, I need the digital technology. Because, even if I play a Persian instrument, I couldn’t really create the full orchestra. With my keyboard, I can create the full orchestra and then tune it. I can create any kind of instrument that I want. Right now, I’m actually writing a string quartet. So I actually have four voices that are before me, and then there are a lot of things that digital technology can do. You can only imagine it. For example, a piece that gradually speeds up. So you assign a very slow tempo, like quarter to twenty, and then you want this to linearly go to quarter to two-hundred So, you can imagine it in your brain, but it’s really…you can hear how the piece evolves…from twenty to two-hundred. Then, the process goes back to my mind and I ask myself: “how do I write it for the live musicians?” They aren’t computers, right? Then it comes to the idea of: “how do you write it such that the musicians can imitate it and get close to that image that I have in my mind?” and also, I have made this kind of rough draft of it on the computer. It is interesting because humans are imitating machines, and not the reverse. Not necessarily. I think that there are a lot of things in music that…the humans…are interested in…where it goes out of the…the musical performance…it’s one of the things about music that I like, and especially contemporary music…It is this idea of searching and finding new ways, exploring. For example, let’s say that you have multiple tempis that are going at the same time. Yes, musicians can produce this, but you have to have some kind of an idea, and you have to just test it [to see] if this is really working. So, while you wait to test this, when you don’t have musicians at your disposal…running it through a keyboard, through a computer, helps to see how it really works. Sometimes it does, sometimes it doesn’t. Does it work digitally but not live, or live but not digitally? No, with the computer, I don’t even actually copy my music from the computer, I write it all of it by hand. I only work with the computer as some sort of help, as some kind of extension of the compositional thought. See, the compositional thought is the composer’s brain. And then, I just use the computer to bring the image a little bit closer to the reality. You see, when a student…when I was a composition student…I see it a lot with composition students, they have an image of a sound in their head, and then, for example, they write something for, let’s say, a very low flute and then have a huge brass accompaniment. And when the image comes to reality, they are completely disappointed. And that’s my job, as a teacher, to tell them, look, you’re writing for flute, and, you have, you know, horns and trombones and trumpets, as accompaniments, you’re not going to hear the flute! See, this is a kind of cognitive dissonance that is between the reality and the image that you have. So, for me, I’d like to bring this image a little bit closer to reality. And the computer helps me. If I am not familiar with an instrument, which a lot of students are not, they would not know that the brass would cover the flute. And so that’s part of the study of orchestration. A study to see how the sounds really… depending on what kind of instrument…what kind of sound it produces. And so, if you take this idea, and now, you make it as some kind of a “gestalt,” and you bring it to the computer, and you say ‘I have this idea,’ how is that idea going to work? You can check if the idea works, and if it works, then you will take it back from the digital realm and start writing it for the instruments, thinking about how you could adjust it such that the performers can play it and would be comfortable playing it. It is a process, it’s kind of a loop: it comes from your mind and goes to the computer and then comes back to your mind. And when you mix classical Iranian instruments with a Western orchestra, how to you work with that? The unity is not guarantee because those instruments come from different worlds, they bring different sonorities and atmospheres with them. My approach is a little bit different than the approach of former composers or other composers. A lot of non-European composers are doing that now: taking an oriental instrument and putting it on top of the orchestra, some Chinese composers do that. They try to imitate the sound with the orchestra. I don’t do that. I wrote a concerto for Ney and orchestra, and more recently a double concerto for Kamanche, Ney and orchestra, and the system I use is completely different. I don’t use the European system. In other words, instead of you using the European system and then, putting an exotic instrument on top of it. That is an orientalist approach to the music. It’s almost like what Rimsky Korsakov did. A lot of composers of the late 19th Century and of the early 20th Century have done this. And all of the Latin-American composers, many composers have done this. I stopped working with the European system since ten or fifteen years ago because I don’t think that this system really fits with the Persian music or the music of the Middle East. So I use the Persian system. It is so vast that you can produce all the sonorities that you want. I don’t need to use the European system with equal temperaments and put an exotic instrument, like Ney or Kamanche would do on top of it where they don’t really match. Whereas, if I turned the system around and use the Persian system, it’s called the “Dast gâh-maghâm” system, it works! the music of the south or of the east like balouchi music, they work with this latter system. So Persian music is really a unique system because two systems exist, a sort of a binary system, with two branches sometimes working parallel to each other, sometimes interlocked. For the last fifteen years, I have been exploring those systems and I came to the conclusion that those systems are so vast that you can create any type of music. Even if I write a piece for Persian instruments and orchestra, it can sound Western; this can actually be derived from this system. But the other way around is not possible. Because the equal temperament is made of twelve equally divided tones. It doesn’t really have those intervals that are contained in Persian music. Intervals of three quarter tones, five quarter tones… and also the system is much larger. Even the old Persian scale has seventeen notes. If you expand this, my research shows that you can have thirty five notes per octave. I haven’t tried it, but if you wanted to, you could. There are two different approaches. The one is the Bartok approach: he started working with folk music, and then took the folk music and assimilated it into the classical forms, the Viennese classical forms. If you listen to the actual Iranian folk music, you will find that it is different from the way that Bartok has used it. Chopin did the same thing. So many musicians did that! Yes. Malher also. He used the Austrian folk songs, he actually assimilated them into this romantic structure, classical, romantic structure. I do not wish that. My earlier music was like this. I have written a lot of series of folk songs, which follow this approach. And so, you have an orchestra and the voice that sings the folk songs with a European harmony. But fifteen years ago, I stopped doing this, because I realized that I couldn’t go further. We were told when we were students that the Persian system is very limited and that we have to learn the European system to evolve it and to make it develop, but I realized [this opinion] was nonsense. The Persian system is extremely elaborate and extremely complex and vast. It has so many opportunities, so many possibilities that we haven’t even began to explore. So fifteen years ago, I started to write music completely based on the Persian system. I took the Persian system and started to compose for the string quartet. Because with a string quartet, you don’t have the tuning problem. You can write the microtones, you can explore, it is very easy for the string quartet. After writing a lot of string quartets, I realized that I had to expand this and enlarge it for an ensemble, and that’s why I started writing the Ney concerto. The piece is written for the Ney, and not for the orchestra. The Ney is the boss: it gives all the tonalities, the tuning, everything. Of course, some of the modes that the Ney plays, the orchestra members cannot play. The microtones are hard for the winds to play. But the strings can play micro tones. Also, you don’t expect eight violinists to play microtones, it would be out of tune, it would be a disaster! So what I do is I create several orchestras within the big one. For example, for my Ney concerto, you have the soloist, a soloist sextet, and they play microtones, since they’re a small instrumental ensemble, they can play microtones. And then you have a percussion ensemble, which creates the background. And then you have the rest of the orchestra. And the rest of the orchestra, it depends, because some of the modes, part of the modes match with the equal temperament, so if part of the mode matches with the equal temperament, then that part can be played by the orchestra. And so, the parts that don’t match are played by the Ney or instruments that can play microtones. But it is not only a problem of tuning, there is the problem of volume: the Kamanche, the Ney have different volumes. They are not made to produce a strong enough sound to be heard in a concert space. All the Persian instruments have to be amplified! Yes, they are not made to be heard in large spaces. Of course not. But now, when Persian musicians go on tour…Two weeks ago, we had some Persian musicians at CMU, and we spent two hours amplifying the instruments. Including the drums. 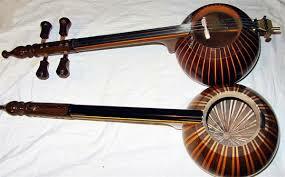 Nowadays, all the Persian instruments are amplified. This is one thing that I really like: I can write for a full orchestra and have the Ney. I can use the amplifier to make the Ney’s sound go over the orchestra. I imagine that that has an impact on contemporary composition as well. In Europe, this is how classical music evolved: Liszt started to write music for a single piano in a concert theater and it opened new possibilities. Exactly. But more than volume, it is really the intonation (interval structure of the music), the whole orchestra has to adjust itself to the soloist. If the soloist is playing microtones, the whole orchestra has to adapt to this. European orchestras are not use to that. Not all the winds can play it. Sixteen violins cannot play microtones because it would be a mess. In other words, you have to create a chamber orchestra inside of the orchestra. That’s what I did in my Ney concerto. And in my double concerto. In the double concerto, it is almost a concerto grosso: you have two soloists, and five string soloists plus the harp, because you can tune the harp. They play microtones, but the rest of the orchestra does not. In the double concerto, there’s a different situation. The mode, “segâh,” is made of three quarter tones and natural whole tones. Natural whole tones (four cents higher than equal temperament) and three quarter tones (about a quarter tone higher than a whole note). This scale does not have a single pitch in common with an equal temperament scale. I use this intervallic incompatibility as a symbol of cultural cognitive dissonance. The orchestra cannot understand that. Those two Persian instruments are representative of Iranian culture. And the seventy six piece orchestra, the Western Civilization, with its military might. The sound of the Ney is a very refined sound. And that goes against the incredibly loud, aggressive sound of the orchestra. They context they bring with them is from a more spiritual world and atmosphere! Exactly. These two cultures, they just can’t understand each other. In the first movement, the orchestra does not play at all. It’s just the soloist and the harp. But when the second movement starts, when the cello and the Kamanche and the Ney plays, the orchestra is completely confused. They can’t really understand the intervals. They are talking at each other. And when they don’t understand, they become more and more aggressive, agitated, they start shooting! There is a section of the music that is very harsh, that sounds like machine guns! There is a great tension between these two cultures. And then, gradually, they start imitating each other, and picking up music from each other, and at the end of the piece, the orchestra gradually picks up as well. They try to imitate it and it becomes kind of jazzy, the orchestra makes a kind of jazz variation of the tune from the Kamanche. Gradually, this clash of civilization becomes a dialogue of civilization. The two civilizations start talking to each other. At the end of the piece, only once does the orchestra play the microtones. It is not a Hollywood happy ending, but it is a beginning. I understand. The dialogue maintains the two separate identities, but makes them dialogue. It is interesting because here, in the USA, I find it difficult to maintain one’s cultural identity. For example, let’s say a family from Naples, they bring their own delicious pizza from home, after two generation it remains only a kind of Americanized pizza with basil and tomatoes which is labeled “Italian,” but is actually very different from the original one! As a composer, how do you deal with this issue of cultural identity? How do you keep the originality of the western orchestra and the Persian instrument without having a broad mix of the two without taste? You know, it is very interesting, because they say that art imitates life, but maybe sometimes life imitates music. When I was writing the double concerto, the American and the Iranian governments weren’t talking to each other, they were very hostile towards each other. And then gradually, they started talking to each other. You know, there were horrible sanctions against Iran, but then they started talking to each other, secret talks. And what I described in the double concerto happened exactly the same. They started a dialogue, what I was writing happened. Ok, they’re not friends, they’re still at odds with each other, but they started an opening. And hopefully that opening will remain. That was my idea really: to bring this kind of idea. And the idea was mostly musical, because some of the composers have tried in the past to harmonize the Persian spirit into the European music, but it just doesn’t work. It is again this idea of orientalism: you take the “segâh” and push it into a minor, and then you have something which doesn’t make sense. You know, in Europe, there was this composer who was working on microtones: Aloïs Haba. He had ideas about microtones, he started to write music with microtones, but his idea was wrong. So it sounds out of tune. Persian music is not micro-tones. As a matter of fact, there are no quarter tones in Persian music! This idea of quarter tones is actually a European idea: you divide steps more and more to make smaller intervals. Persian music is based on natural tuning, Pythagorean tuning. You don’t have an interval of 150 cents, an interval is 200 cents. I keep away from this. Some composers are doing that, but our music is not about microtones, it is about Persians, it is about sounds, quality, the esthetic of Persian music, it is not about microtones. How do you actually train Western musicians to perform and to play this music? This process has to come from your mind. Then, you try it on the computer, I tune it (I created an instrument which can play what I want), and then it goes back to my mind. But you can travel back and forth between the western and the Iranian culture because the Iranian one is your own, you were raised within it, it is like a mother tongue for you. Then you had classical music training, so you know are familiar with it as well. Exactly. I was trained in Western education. I was a kid, how would I know?, we were just playing Bach and Beethoven like everyone else. But when I came back to rediscover Persian music, I realized that I could not go back, because to understand and to play an instrument really well, it takes fifteen to thirty years. And so, if I take a Persian instrument and learn to play it, I would be ninety-five years old and it would be time to die. It was very hard for me to come to this realization! I was unable to speak my own language because I was trained in another one. Therefore, I used technology as a short cut. I started developing this instrument; I started playing the Persian repertoire. I am not a pianist but I can play piano, and so it goes really fast. In about five years, I could memorize the repertoire. I memorized the instrumental repertoire, and the vocal repertoire, which is very difficult. And Persian music is all about memorization. I also read about the music, and you know, the orientalist concept of Persian music is wrong. Persian music is not monophonic music, it is polyphonic music, and this idea that Persian music is monophonic is an orientalist idea, or heterophonic. But what is heterophonic? I looked everywhere, in many dictionaries, and I could not find any clear definition of “heterophonic music.” This is the way the idea has transferred through Europeans to Asia. They actually take, from their own music…they look at music from the viewpoint of a European. That [term] doesn’t mean anything. It is a label put on Persian music which doesn’t correspond to the reality. They are European people trying to understand Persian music, of course they start with what they know, they look at the Persian music from a European standpoint. It is what happened in Asia. And the Asians understood their own traditions from the European perspective. That’s crazy. I, as an Iranian, was looking at the Persian music from a European point of view. It took me twenty-five to thirty years to realize that this wasn’t right. I had to start to look at my own music from my own viewpoint. That doesn’t mean that the European music is bad, it is beautiful, they are wonderful musicians, but it is not my music, it is not Persian music. Travelling abroad probably helped you to understand that. I have the sense that I am constantly rediscovering who I am in the eyes of people from other horizons that I met. I am rediscovering what it means to be European, French, Breton. At home, it is different: there is no difference that allows you to realize your identity. But why did Iranians accept this European view? It was because of, well one reason is colonialism. You know, there was a very distinct influence of colonies. When the colonial power came to Iran, the British… this idea that you have to adjust yourself to the European way of living, of thinking, to understand them is very strong. It happened specifically to composers who went to study in Europe. It has been happening all over East Asia, it is especially pronounced in Japan, Korea, and Taiwan. They are much more westernized. I am not sure of this. While living in Japan, I found the Japanese to be very Japanese. Only the surface is maybe westernized. The idea of making music in a vested context really came from an early Iranian composer who studied in Europe. And they came in the early 1920s, and specifically one of them who came to Iran, his claim was that the Iranian music has to be reformed. This specific composer was named Vaziri. But Iran has such an ancient and refined tradition! Yes, but the conservatory of Teheran where I studied was established in about 1921. And from the very beginning, their aim was actually to teach European music. Then, what happened is, they gave scholarships some of the musicians who were military personnel, and they went to study in Europe. Vaziri was one of them, he was a tar player, and when he came back to Iran, he wanted to imitate the French conservatory. So he started his own school, teaching music to students in a European way, with scales, and wrote European polyphonic music. He believed that the way that the masters of Persian music at his time performed was backward and had to be evolved and reformed. The way to reform it is…he came from the idea that Persian music was monophonic, has only one line, and he was a very committed man, he really did a lot of work for Persian music. I don’t want to sound negative about him. He was a real nationalist. He really had good intentions. But then he became very critical of the traditional musicians, who were rejecting his ideas. So how did Persian people learn music before? In a master-student relationship? Yes, with a master and a student. This was all aural-oral tradition. It all has to do with memorization-you have to memorize a lot. Vaziri wanted to change this: he wanted to create the conservatory system as a system that you have to go and learn a European vocation and play…and create… In the meantime, the Soviets were doing the same in Asia: they destroyed the music of azerbaïjan, of tadjikistan. All of this music was Russianized, completely destroyed. Especially azerbaïjan. In the North and the South, they have two different systems. In the North, they are equalized, because of the Russians. That was the idea of evolution, of development. In the South, which is Iran, they still play with the old one. The Russians were doing Soviet propaganda. But that’s European, in a way. The Russians were behind all of this. There was this idea that we have to evolve, that we have to become big orchestras. That is why there was no conservatory to teach Persian music until 1949. The first conservatory, first school to teach Persian music was established in 1949. But the great masters couldn’t read the Western notation. There is a positive impact of course: a lot of music would have been lost without it because it was not notated. But it would have been nice if this concept was a more equal concept, if the two systems would have been considered on the same level. It was not the case. I studied Bach in the conservatory. And then at forty years old, I realized that I had to study Persian music. Yes! Because it is you! It started with me writing folk songs, because I was writing folk music, and I started to analyze folk music. That’s how I realized that music from northern or southern Iran has the same structure, they are related to each other. They look like children of the same mother. But who is the mother? The Iranian DM system! When I studied this system, it blew my mind. It was like discovering a new continent. A continent which was entirely yours! That’s crazy. You are Persian. Yes. Now I can express myself in a straight-forward fashion. I don’t need to be an orientalist. I can write music based on the Persian system… even if sometimes, it sounds European. Its source is coming from a different system. I understand. You can bring your own spirit to your work without having to cross a border and change languages. Absolutely. You know, European contemporary music springs out of the classical contemporary music; Stockhausen comes from Beethoven who comes from Bach. Yes, we can trace that. That is the difference between contemporary music in Europe and in Iran. In Europe, there is a very logical evolution that comes out of the classical system. With the Persian contemporary music, especially because many composers like myself studied in Europe and the US, the Persian contemporary music doesn’t come from the inside of the system. It is almost like my earlier compositions: putting a Persian color on the top of a European system. And it is not only me, it’s a lot of us, even Toru Takemitsu, the Japanese composer that I like so much. He expresses himself, he expresses Japanese thought, in a European form. You see that in Latin American music. With the particularity of the South American continent, which is partly made by Europeans, so that the roots are now also that of the Europeans. In Japan that makes no sense to me. Yes. Let’s say, the Tango in Argentina, it has European roots. You can hear it! Absolutely. I really love that. While I was at a Tango class last week, I heard a waltz and immediately my mind was in France, in Paris, in this particular atmosphere of the so called “guinguette,” with those couples dancing together, bandoneon, in a café, near the Seine, everything was there, I felt home. There is some of France in the Tango, I can hear it so clearly. This case sounds to me very different from the Persian or the Japanese ones. But there is not only the classical heritage, there is also the nature, architecture, everything that shaped the European music, which is foreign to the Persian one. Exactly. For example, the Persian folk songs I wrote are very popular, some of my most performed music, but I decided not to do that, I decided to turn around, and go back to the music itself. 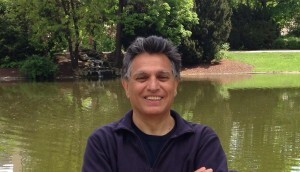 My music, the contemporary music, is now coming from the Persian system. Even if sometimes it comes very close to the western one. Yes. In painting, visual art, it is not the same. Poetry had a natural evolution in Iran. The neo poetry came from the classical poetry. They exist side by side. People didn’t accept the neo poetry right away, they accepted it gradually, now people, famous contemporary poets, read the neo poetry. It is the same as what happened in Europe: people gradually accepted contemporary music and nowadays it is side by side with the classical music. I understand. The poets didn’t write Persian poetry in English. But because of the influence of European music on Persian music, this process wasn’t followed in music. The Persian composers imitated the European style, tried hard to put Persian music, the Persian color, on top of European form, even using some Persian instruments. They really mean well. Some of them sound very beautiful, but this is not what I wanted. I wanted my music to come right out from the Persian system itself. And this music is really like the contemporary poetry, coming back to the classical. Just like the poet writes in Persian and speaks in Persian, I want to speak in Persian. You want to speak your own language, without being separated from your roots. Right. I wanted the music to actually speak the Persian language. Not a European language. There are Persian poets who write modern poetry, it’s called “white poetry” because it doesn’t have rhymes, it doesn’t follow the rules of the rhymes of the classical poetry, but they are still written in Persian, they are following the Persian grammatical rules. So why can’t we do that in music? It does not have to sound traditional, in fact, some of the Persians really got turned off when they hear my music, they cannot understand it, because it is not Persian traditional music, it’s not pop music, it’s not a music that they’re familiar with. It’s not Persian pop, it’s not fusion music that they hear on the radio, it’s something very new. And they get tense. And I always tell them that, look, this was exactly the same thing with Persian poetry, fifty years ago, people didn’t like the work of neo poets. Yes. That’s not a revival of folk music. Not at all. Another aspect of that is that in Europe, the modernists were dead-set against the revival of Folk culture. This was a major esthetic bridge that the modernists refused to do. And so, because modernists, after the world war, had a major influence on European music, until today. In France, France is still under the influence of Pierre Boulez. And there is not only him. It takes fifty years of French music to get out of the system of Pierre Boulez. I’m not against Pierre Boulez, I love his music. I don’t think French music is all Pierre Boulez. Yes. It also has to be changed because very few people are going to listen to this music. Common people don’t understand it. This is one of the major esthetic points of the modernists: they thought that they had to explore, and that this is music for the elites, that could understand their music. I am not against experimentation. I mean, a composer has to experiment. But they created this language that only a certain elite can understand. So when you go to a contemporary music concert in Europe, the same sixty people are showing up. And what does this mean for the Iranian composer? Iranians are studying in Europe. I did it. One of my teachers was one of the major composers of the modernist movement, Friedrisch Cerha. And also, as a composer, if you want to live in Europe, as some of my colleagues are, you have to write in this style. They have to write in a certain style; otherwise, their music is not performed. Yes. But in the USA it is completely different, there are big social differences, it is a multi-cultural society, there is a lot of immigration, and so I started to think, I wasn’t really aware of this before I came to the United States. It was in the United States I actually started rethinking who I was. If I would have stayed in Europe, I would be writing in a style like Pierre Boulez’s. Or something similar. I see. It is true that the USA makes you think about your identity. Even because you are always wondering, at least I am, who are the people that surround me: what generation of American citizen are they? First? Second? Third? More? What ethnicity? What is their background? Why did their ancestors come here? Because of persecution? Better economic opportunities? Love? War? And that makes you self-reflect, makes you ask about yourself as well. And you have to fill out those administrative papers and check the box next to your race: Hispanic, what kind of Hispanic, Middle-Eastern, African. I never filled out that type of document before! Exactly. Identity is a big deal here. Your identity is at the center of the political and the social…in the United States. The culture here helped me to identify myself: how should I be? What do I want to be as a contemporary composer? How do I want to do something that is fascinating in contemporary music? Contemporary music is the music of our time, it lives in our time, it searches, it opens new doors, it looks into the future, it creates. At his time, Beethoven was a contemporary composer! But we have such a long story that we stick with it in Europe, maybe also in the Middle East. We are afraid of moving away from it. Here, people invest in new ideas, they try, even without knowing if it will succeed or not. Well it is. You know, it’s also cultural. It is cultural that they are open to new ideas. In Europe, things become institutionalized. Even music is institutionalized. That means that if you are a contemporary composer, you have to live inside of certain institutions, get money from the government supports, you have to follow certain rules. Here, this is not the case. The concept of institutionalization in Europe, it’s something that kind of, even in the research of music…For example, in France, you have the group of composers who are called spectralists. Their research is very attractive to me because Persian music is also done on the spectrum. They go and they research the spectrum and they actually pinpoint sound and pitches that are in the spectrum. But when those composers actually write music, they have to bring this and mold it into the Pierre Boulez institution. But I don’t want to hear Boulez! The only composer who sets himself apart from that was Messiaen. He was such a wonderful, spiritual person, he was a Christian. And everybody laughed at him. Even his own students laughed at him, including Boulez. And they thought he was an old man. And now, everyone plays Messiaen, because his music transcends. And yes, he has a lot of modernist ideas. But because he was a spiritual person, he was actually bringing a lot of his ideas into this other musical mold. And there are very few French composers who were able to do this after the 20th Century, after the Second World War. Maybe Dutilleux was different. But he is a contemporary of Messiaen. After the war, the concept of contemporary music changed in Europe. Contemporary music became institutionalized. Something was broken. The spiritual world became secularized. In the Middle East, that’s not the case. Here too. In the Middle East, especially in Iran, during the last fifty years, because of the heavy influence of the European composers, especially the modernists, the Iranian composers, their contemporary music, is lagging behind poets and visual artists. I am trying to imitate them [calligraphy, the visual arts, poetry]. If the poets and the artists succeeded in doing that, why not music? But the contemporary composers think that their music is universal, a-cultural, that anyone can understand Boulez because he is not French—he is just a composer. Absolutely, they want to create some kind of international language. It is all right, but if you do that, what does Persian music mean/what is particularly Persian about this music? I used to go to contemporary music festivals, and at the end, your head is just bursting, they sound all the same: Polish, French, Hungarians. And in Iran, they are composing the same. But where is their identity? Where is our identity? You have to start thinking about your identity, because you go through the process of identification. You mentioned Japan. For example, I asked a young Japanese composer if he goes to the nô theater, and he said no because it is boring. The Japanese culture is becoming a museum! Behind a glass. That’s a pity. But this is a contemporary issue: who are we? And because we came into this broad sense of identity, people are trying to go back to what they are and they rigidify what an “identity” is. In Iran, because of the revolution, the idea of deculturalization became a very hot topic. They were trying to find who they were. It is still an issue. Particularly in music. And it goes back and forth. Composers really started writing music, composing music…all of the Persian music…so they created, really, kind of third wave of composers…their music… that just doesn’t fit with the European polyphony. I consider myself a part of this wave. There were three waves in the last fifty years in Iran: 1) European raised Iranians who pushed Persian music into the European mode, 2) they rejected that, the European music doesn’t fit with the Persian music, we might as well just write the European music, they were more honest I think. My earlier music was in this second wave. So, they wrote European music with Persian color on the top of it, 3) after the revolution, there are composers that started writing music that is based on the Persian system. The polyphony comes out of the Iranian system. And my recent music is part of this—the polyphony, and all of the aspects of this polyphony: rhythm, form. They all come from this system. The difference is that the Iranian system is by far much larger than we imagined: you can use it to create something that sounds western. The system is extremely vast and you can use it to write whatever you want. Here is an example: if the European system has twelve notes per octave, and the Persian traditional music has seventeen notes in an octave, you still can use the twelve notes, but the other way around is not possible. If you have seventeen notes on the octave, you cannot use the other five notes that are not available. You basically cannot use microtones. But this is the traditional music, the 17-notes, but this traditional music, you can expand it. You can put 23, 26, 35 notes in the octave. If you have 35 notes in the octave, you can still use those twelve notes. You can still write music that sounds European. It is very simple. So if I use this system, and I create a sound that is European, I am not writing European music. No, because you are speaking your own language. Yes. I think this is the difference. So if you listen to my Ney concerto, you will see that there are parts of the music that sound Western, but these are not derived from the western system. Somebody might ask, “Why are you doing this?” Well, why not? This is my identity. I am hybrid, basically. I was trained in Western music, I know Persian music, I love Persian music, I love western music, I love European music, why should I leave that? Why should I be a completely blind nationalist? I agree-that makes no sense. Those two traditions are rich. And they are part of you. You are not less Persian if you take something from the West. And while being influenced by the western culture, you are not becoming someone else; you are maybe even more yourself. I am against blind nationalism because music is like the ocean, it just moves between cultures, it doesn’t have boundaries. But that doesn’t mean that you can lose your identity. You can have your identity, but also you can have a pluralistic approach by also keeping your identity. If you want to get philosophical, it is like a union of contradictory elements. It is a synthesis, but the particular elements are contradictory. He said life begins from the union of contradictory elements. If you think about that in terms of your identity as an Iranian, and then pluralism, so the music of the world. If you put this together, you get a new synthesis that is neither one nor the other, it is something new. Right. It is a beautiful summary of what you are doing and I would probably close our passionate conversation with that. Thank you very much for your time and for your very precious testimony!